Jackson Reece Wipes had come highly recommended by several people I know so I jumped at the chance to try them on my precious daughter. On first sight I thought the packaging was very refreshing and very modern and very Organic! The fragrance upon opening is absolutely lush, not overbearing but still quite evident. The scent actually makes you want to wipe your own face as everything about them seems so fresh and natural! I was quite happy to dive straight in and use Jackson Reece wipes on my daughter when changing her nappy and on her face. Having noticed that my daughter can have negative reactions to some baby skincare products I try to be as careful as possible when choosing products to use and will tend to move towards Organic products as they always have a calming reaction and really do just feel good quality! Jackson Reece wipes are packed full of lovely Organic and Natural goodness that only react in a positive way with your child’s skin or even your own! As I found out these wipes are great at removing makeup, especially mascara! The wipes themselves are much thicker than the wipes we normally use and I found they lasted so much longer and they remained moisturised, even the ones right down at the bottom of the pack. Priced at approximately £2 per pack of 72 wipes they are slightly more expensive than some of the regular brands, but please do not let this deter you. Jackson Reece wipes really are worth every penny, quality wise, ingredient wise and for the fact they really are long lasting. I have to admit that everyone who recommended the wipes to me really were spot on and I am now a definite convert! We were also given the opportunity to try the Jackson Reece flushable wipes. A dinkier version of the larger packs, the flushable wipes really do pack a punch! Conveniently sized to fit in any handbag or changing bag, there really is no excuse for you not to have a pack of these to hand! 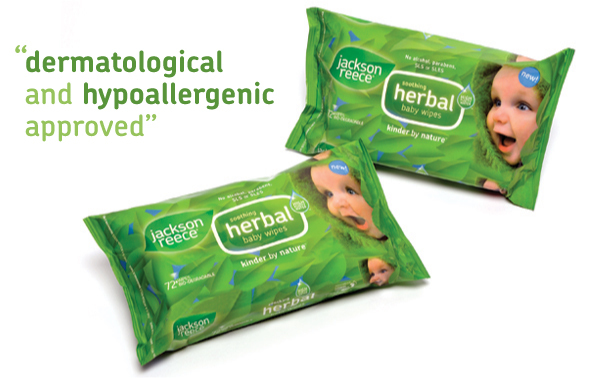 The Jackson Reece Flushable Wipes are made from dispersible cloth that degrade in water within 8 days and are made from Organic ingredients and contain no alcohol, parabens, SLS or SLE!! I am always wary of the term “flushable” when using wipes yet I really did feel very confident that these wipes would be disposed of well. Exactly like the larger wipes, the flushable wipes are equally as thick and strong and really do remain moisturised even the last wipe!